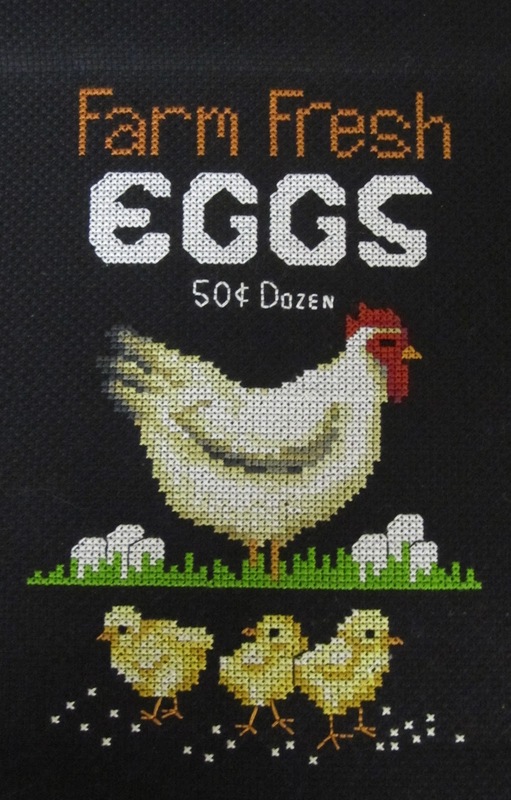 I finished this cute little chicken cross stitch a couple weeks ago but I haven't shared it with you yet! 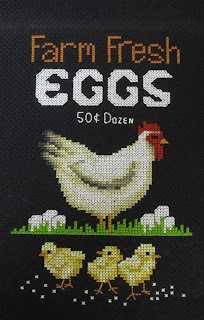 This was a great pattern I found at Bobbie G. Designs. I can't decide on how I want to frame it. I was looking at the oval frames they had a Joann's but maybe I'll run across something while out antiquing. After I was finishing this cross stitch, I realized that I had a quilt to finish for the quilt show coming up on the first weekend in October!! Which means the quilt has to be in at the end of September, sometimes I can't believe were my head is!! So that is what I have been trying to do lately. Its not going great, but good enough for who it's for! (which is me) I just have to stop trying to quilt these ginormous quilts myself on my home sewing machine on a table with no insert!! Okay I'll stop complaining now and get back to quilting. I'll keep you posted on my progress!